Relatively affordable domestic help is one of the luxuries of expat life in China. Not only do ayis (as nannies and cleaners are known in Beijing) provide invaluable support for any family, their services can be downright liberating for new parents and those with limited mobility. Many families develop a bond with their ayi beyond that of employer and employee; time and time again, long-term expats have told us that the hardest part of leaving Beijing was separating from their ayi. In general, June and December are the best times to look for domestic help because many employment contracts are up around then. The best way to start your search is through word-of-mouth. Finding an ayi with the kinds of qualifications needed to serve an expat family – the ability to work full-time, cook, clean, take care of children and pets, and perhaps speak basic English – can be difficult, so getting in touch with other parents can save considerable time. Once you have a list of applicants, start by checking their references. Do not hesitate to contact previous employers and ask as many questions as necessary; the ayi will have a significant place in your family’s life, so find out exactly what you want to know. Determine the qualifications that are most important to you and ask about the ayi’s experience and performance in these areas. If you need help with childcare, a history of looking after expat kids is a must. If you need someone to do the groceries and cook, a repertoire that goes beyond simple Chinese dishes might also be beneficial. – Does she speak English? If so, how well? – Do you want her to speak English with your children or help them improve their Mandarin? – Has she worked for expat families before? If so, were their customs and background similar to yours? – Has she undergone a recent health check? If not, you may want to insist she does so, although you would have to cover the cost. – Is she certified in CPR and first aid? – How old were the children she has cared for in the past? – Does she have any experience caring for babies? – Is she available for babysitting and/or on weekends? – Does she have any experience looking after pets? Does she have any allergies? – Do you need her to cook? Do you want her to cook western food? – Do you want a live-in ayi? If so, what are her needs and can you accommodate them? – Does she live close by? This can affect her availability, should you need her for emergencies or occasional babysitting duties. – Do you want a trial period? This can range from three weeks and upwards of three months. – Is she trustworthy? Was she referred to you by a friend? – If the ayi is to have keys to your house, is she willing to give you a photocopy of her Chinese ID card? – What do you want your ayi to do? Be specific about her daily tasks, as well as a list of additional tasks such as looking after the children at birthday parties. – Discuss all aspects of money and leave, including pay, overtime, raises, bonuses, holiday leave, and sick leave. – How much time will the ayi have off for Spring Festival and other national holidays? – Will they receive a guaranteed bonus (often referred to as a “13th-month bonus”)? Many ayis will expect this. – Will the ayi receive full salary while you are away on vacation? – Will you need the ayi to travel with you, including out of the country? 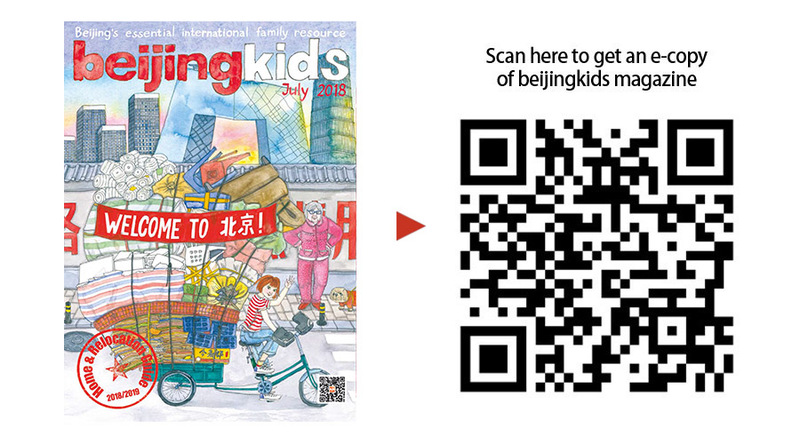 This article appeared on p42-43 of the beijingkids July 2018 Home & Relocation Guide issue.